I read this article and found it very interesting, thought it might be something for you. The article is called Barfly: The Blind Pig At Pacinos and is located at https://www.totallydublin.ie/food-drink/bars/barfly-the-blind-pig-at-pacinos/. Two friends from San Francisco are in town; both seasoned pintmen who also know their way around a cocktail menu. Easing ourselves into the occasion with a few straighteners outside Grogan’s we run into the brother and my friend The Historian, and the temptation to stay where we are is strong. 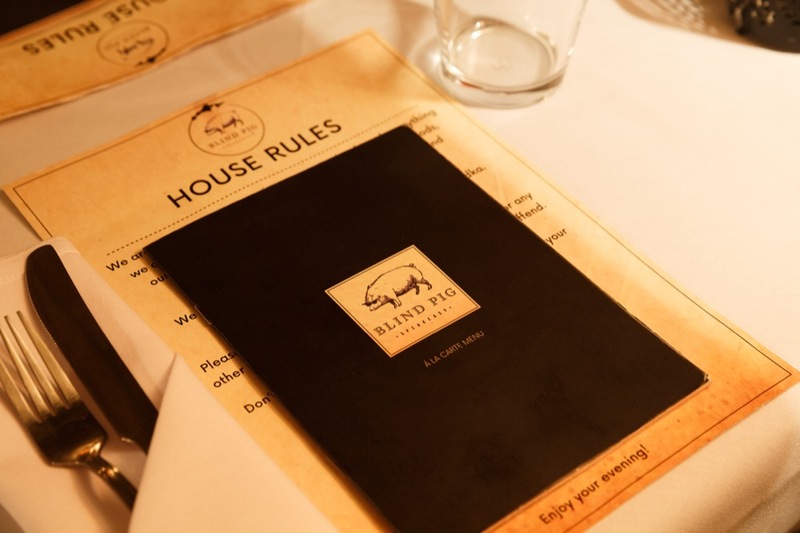 But duty calls in the form of a reservation at The Blind Pig. The reservation that’s required just to drink here isn’t the only one I have. Led by The Library at Bourbon and Branch, San Francisco briefly indulged in a fashion for twee “Speakeasy” rooms with hidden doors and passwords which, like the Mission burrito, has been brought over here with mixed results. Going into Pacino’s restaurant on Suffolk St there is a bright neon sign saying “Shhhh” and pointing down. The pretence of covertness is always going to be painful. The fake library door in the downstairs hallway should be camouflaged, but is obviously out of place. Some play-acting with a hidden button ensues before the door slides open and we are in a vault. Or maybe a crypt. We are guided to a bar that has a fairly desultory range of bottles behind it and the obligatory Edison light-bulbs dangling above it. I promptly hit my head on one of them: the ceilings are low. At the tables, people are picking at food, but we are men of singular purpose. A playlist of R&B and Soul standards is on, loud, which would seem out of place if there were any coherence of theme and style. 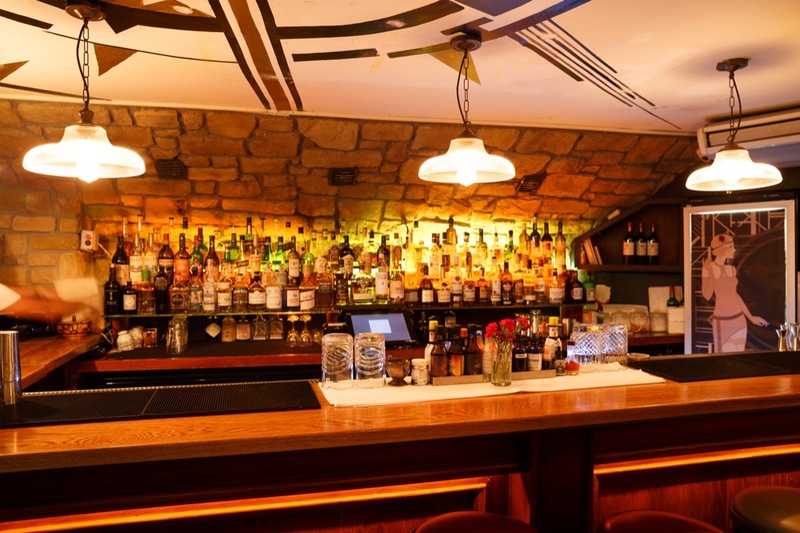 There’s nothing particular about the interior that says “speakeasy”- or much of anything. A few desultory art deco pictures of flappers seem to be more decoration about a speakeasy than the decoration a speakeasy would itself have — (as John Lennon said when asked about teenagers imitating them by wearing Beatle wigs, “They’re not imitating us, we don’t wear Beatle wigs.”) The very obvious and busy digital point-of-sale terminals, one of them right beside me, don’t help. As at Bourbon and Branch, there is a smug list of House Rules. We are enjoined from ordering strawberry daiquiris, for example. I wonder if this has ever been tested. As only one bartender is working and the place is moderately full, everything takes a while. For our first round, there is a “Volstead Act”, with Bacardi Cuatro, port, green apple syrup, and allspice bitters; an “East India” with Hennessy, Cointreau, lemon, pineapple syrup, and bitters; and a “Prospector”, combining the newly-revived DWD Whiskey with Sherry, Averna, and bitters. And here a theme does emerge: a combination of already-sweet fortified wines or liqueurs with fruity syrups and more flavoured sweetness. A strawberry daiquiri starts to seem tempting. When I sample all three drinks I am reminded of the hole-in-the-wall places in New Orleans that sell the same sweetened alcohol in dozens and dozens of vivid colours. I’ll have a green syrupy thing and a red syrupy thing and a purple syrupy thing please. They taste the same. For round two I retreat to the safety of the canon and order a rye Manhattan. They have one rye whiskey. It’s Woodford Reserve, so one could do worse. My companions opt for a White Negroni and a whiskey-based Mule. There’s only so much you can do to a Mule, and this is fine, as far as it goes, but the White Negroni is where Aughrim was lost — another insipid, thing with syrupiness masking its slight gin backbone. Otis Redding and Bill Withers continue to blare at unreasonable volume, so I don’t even notice the keyboard setting up right behind me until a woman starts plunking away and singing Fleetwood Mac. I’m not sure how long our reservation is valid for, but it is time to go. What form of authenticity do we want or expect in a place that calls itself a speakeasy? I remember Dublin’s late-night drinking scene in the last millennium featuring places where a furtive knock and an eying-over at the door might get you in for a genuinely illicit drink, or several. Dressing up with passwords and hidden doors doesn’t do anything to provide that frisson of fear of discovery – not when you keep polite hours and take all major credit cards. And we probably don’t really want to recreate the drinks of 90 years ago, either, although I can imagine Jake-Leg being the must-have affliction of the coming season. 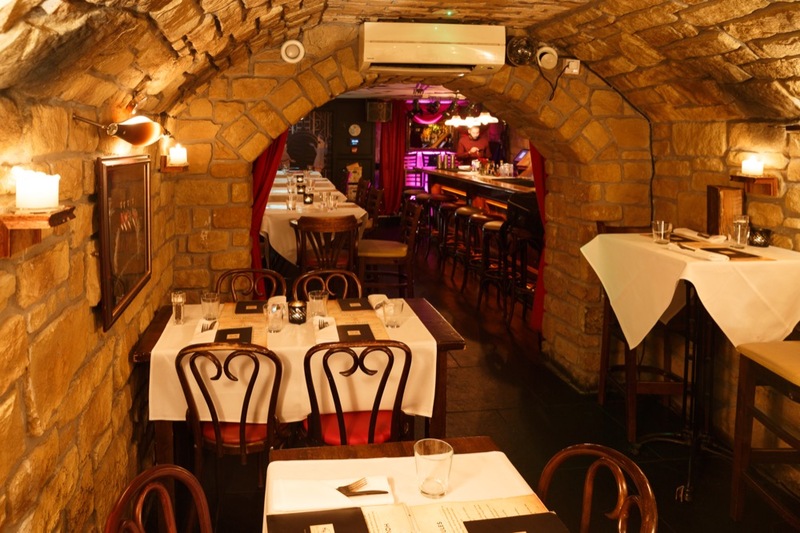 But there is a shared ideal that the word ‘Speakeasy’ conjures up, one of illicit but cool discernment, of Bright Young Things drinking from coupe glasses, and it seems a long way from this basement on Suffolk St.